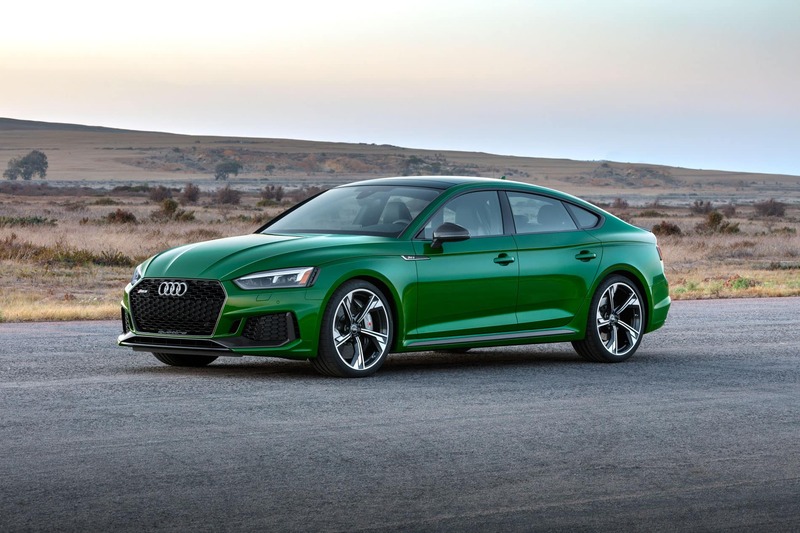 The sportback is a relatively new body style to enter the Port St. Lucie, Florida new-car market. This new design combines the swoopiness of a coupe, the rear-seat access of a sedan, and wagon-rivaling cargo capacity. 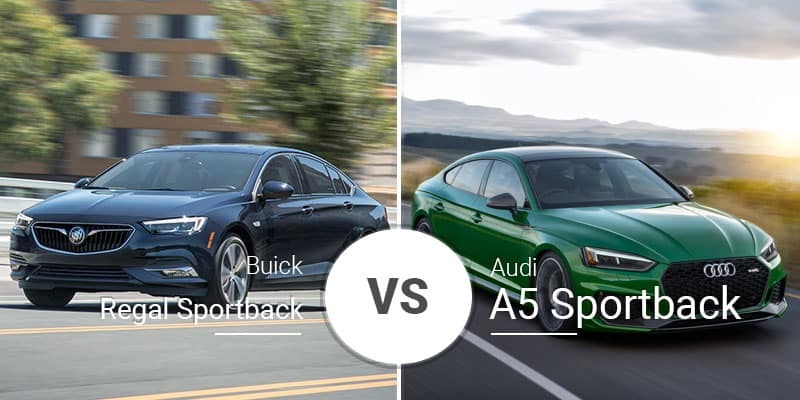 Buick and Audi each offers one of these do-it-all rigs in the Regal Sportback and A5 Sportback, respectively. 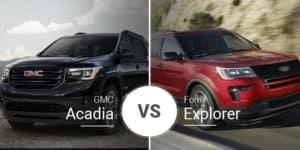 Which one is the better buy for our Vero Beach, Florida car buyers? Continue reading to find out. 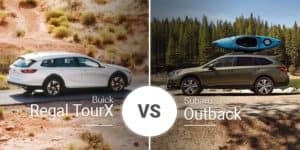 The 2019 Buick Regal Sportback rides on a significantly larger platform than the 2018 Audi A5 Sportback, which results in a smoother ride. The 2019 Regal measures 192.9 inches long, 57.3 inches tall, and 73.3 inches wide. This body rolls on a 111.4-inch wheelbase. The 2018 A5 Sportback’s more compact body, which is 186.3 inches long, makes it easier to park in tight spaces and zip through traffic. Though it’s shorter, the 2018 A5 Sportback is wider at 79.9 inches, giving it a wider footprint for added grip in the corners. 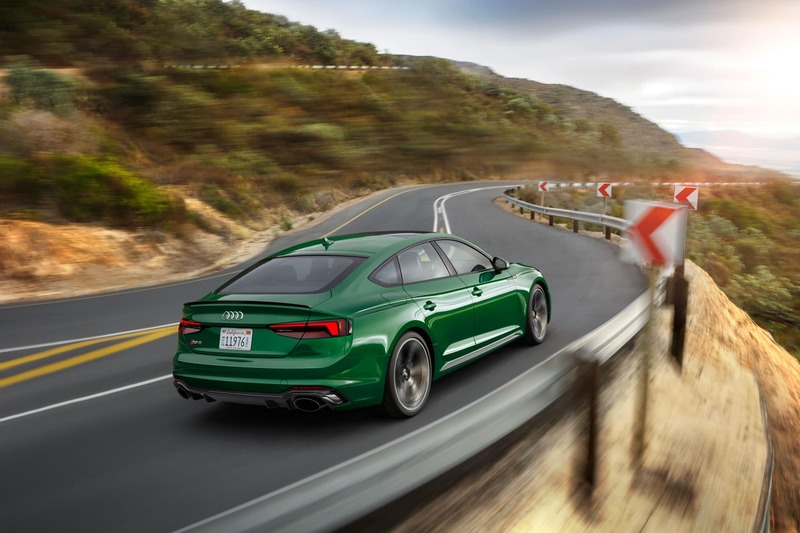 In terms of design, the Audi A5 Sportback features the latest take on the brand’s iconic and timeless styling. While it is stylish, this new look is a step away from the relaxed European styling Audi is known for. The Buick Regal Sportback, however, boasts full European styling with its swoopy lines, waterfall grille, and more. The longer 2019 Regal Sportback delivers a roomier interior in most of the key measurables. Up front, its 42.1 inches of legroom and 56.9 inches of shoulder room beat the A5 by 0.8 inches each. In the rear, the Regal’s 36.9 inches of legroom, 55.4 inches of shoulder room, and 37.4 inches of headroom best the A5 Sportback by 1.8 inches, 0.9 inches, and 0.4 inches, respectively. The 2019 Regal Sportback’s cargo room is also superior at 31.5 cubic feet with the rear seats up and 60.7 cubes with the rear seat folded. The A5 Sportback delivers just 21.8 cubes with the rear seats up 35 cubes with the seats folded. The only area where the 2018 A5 Sportback wins is front headroom, which measures 39.4 inches — 0.6 inches more than the Regal Sportback. 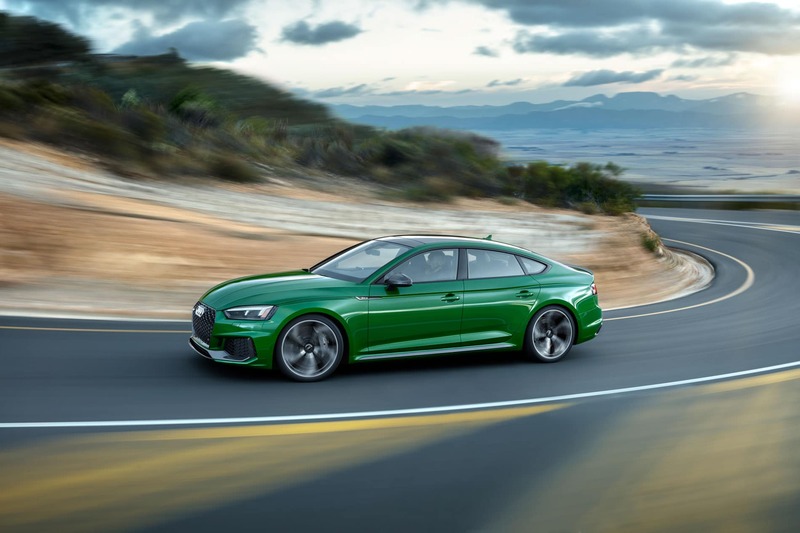 The Audi A5 Sportback has a small power advantage in base power as its 2.0-liter turbocharged engine delivers 252 horsepower and 273 pound-feet of torque to the Regal Sportback’s 250 horsepower and 260 pound-feet of torque. Also, the A5 has standard quattro all-wheel drive, while the Regal Sportback comes standard with front-wheel drive. Where the Regal gets an advantage is its nine-speed automatic transmission has a two-gear advantage over the A5’s seven-speed dual-clutch unit. The 2019 Buick Regal Sportback does, however, have a few distinct advantages over the A5 in terms of the powertrain. 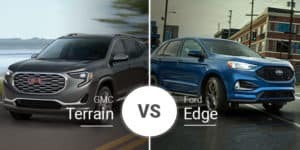 First, when equipped with all-wheel drive, Buick rewards Regal Sportback buyers with an extra 35 pound-feet of torque on the four-cylinder model, beating the A5 by 12 pound-feet. The Regal also has an optional 3.6-liter V-6 engine that delivers 310 horsepower and 282 pound-feet of torque. The Audi A5 Sportback comes back to beat the Regal Sportback in fuel economy as it gets up to 24 mpg city and 34 mpg highway. The Regal Sportback tops out at 22 mpg city and 32 highway. With all-wheel drive, the base Regal Sportback falls to 21 mpg city and 29 mpg highway. 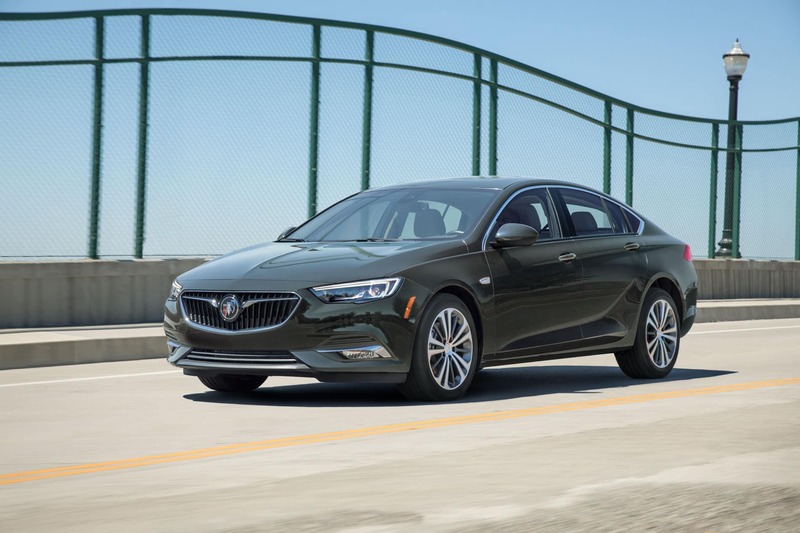 The 2019 Buick Regal Sportback comes in six trim levels — base, Preferred, Preferred II, Essence, Avenir, and GS — with prices starting from $25,995. The 2018 Audi A5 Sportback, on the other hand, comes in just two trims — Premium and Premium Plus — with prices starting from $42,600. Who Should Buy the 2018 Audi A5 Sportback? Buyers seeking a pure luxury car will be better suited in the Audi A5 Sportback. Top to bottom, Audi crafted this vehicle as a luxury-tuned machine. Who Should Buy the 2019 Buick Regal Sportback? Buyers who don’t need tons of luxury but also want something more than your typical car will find a great balance in the Regal Sportback. Plus, with its range-topping Avenir trim, the Regal Sportback can go head-to-head with the 2018 A5 Sportback. The 2019 Regal Sportback is also better for buyers looking at sportbacks for their enhanced cargo capacity. 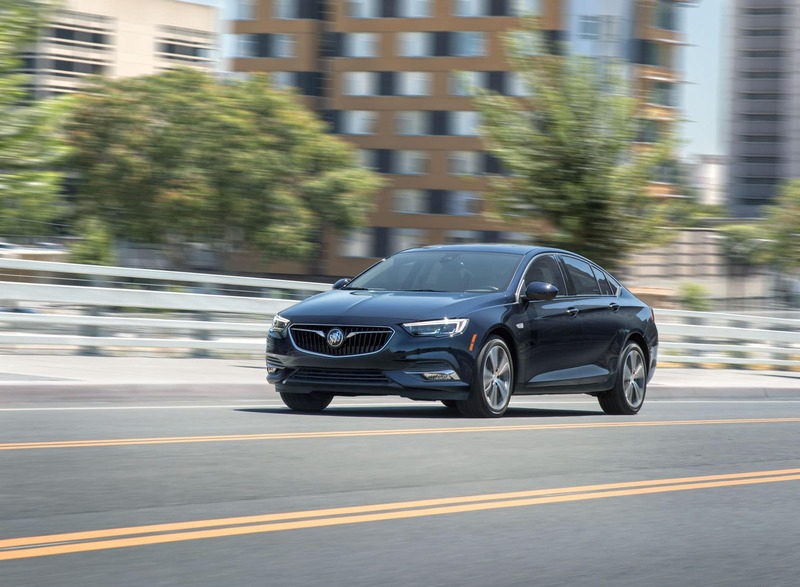 If you are looking for that perfect balance of luxury, value, looks, performance, and roominess, look no further than the 2019 Buick Regal Sportback. 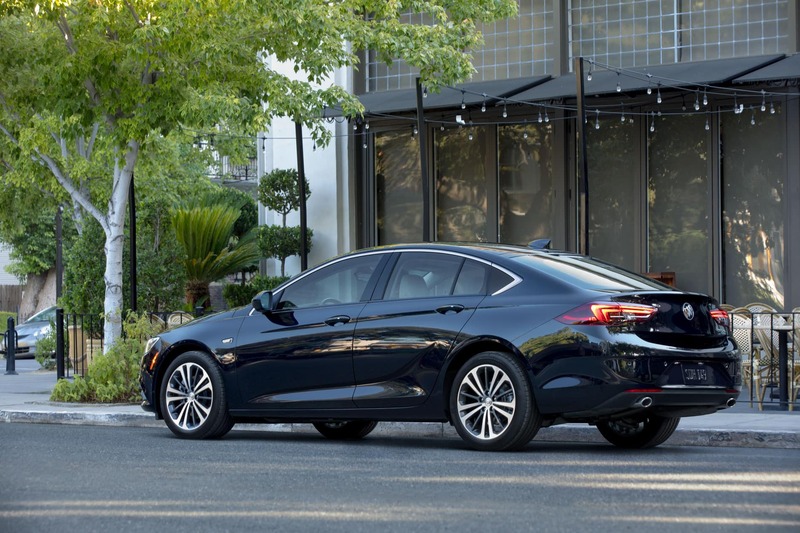 Stop by Garber Buick’s new-car showroom serving the Port St. Lucie, Vero Beach, and Fort Pierce, Florida area to test drive the 2019 Buick Regal Sportback today. If you can’t make it in, you can also check out our full inventory online.